The trail is built to provincial minimum standards to ensure that it is well-built, safe and hazard-free for trail users. This helps guarantee that maintenance along the trail will be less costly and require a minimum amount of labour in the years to come. The Bull Run Trail Association followed the trail development guidelines proposed by the Department of Natural Resources. This step-by-step guideline to trail development helped ensure that all aspects of the trail development process were considered, including community consultation, insurance, and all required permits. 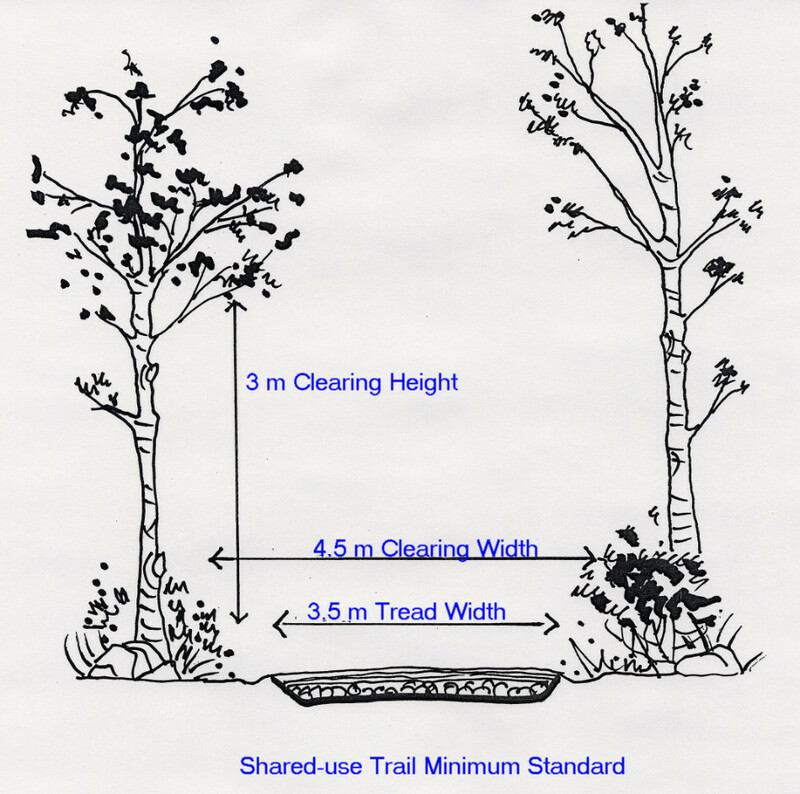 This diagram above gives a clear picture of the provincial minimum trail standard and shows the required clearing widths and tread widths of the finished trail.